Visitors to Charleston may flock to Rainbow Row or one of the Lowcountry’s many sandy shores —and for good reason. But there’s a lesser-known strip of the city you must explore, whether you’re a history buff, design fanatic, young family, or lover of the arts. 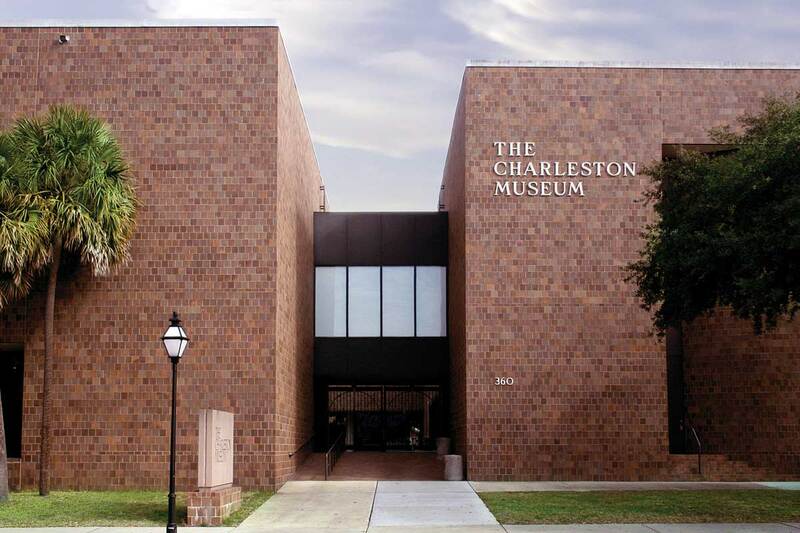 Museum Mile—a one-mile section of Meeting Street running from Mary Street to the Battery—is a playground for those seeking Holy City culture, whether you’re from out of town or are a local with a Saturday to spend touristing throughout your own town. 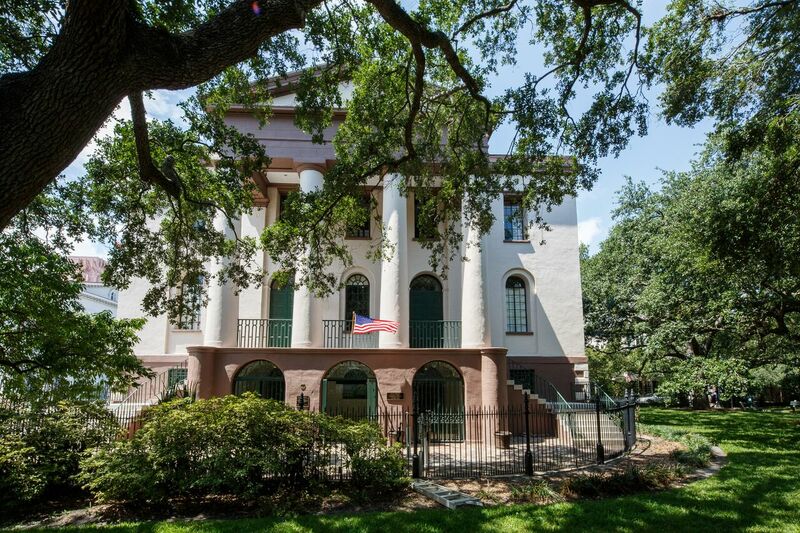 Stroll the strip and you’ll find America’s first museum (yep—read on for more on that), a host of perfectly preserved historic homes and churches, and the gleaming, recently renovated Gibbes Museum of Art (it’s stained-glass rotunda is a true work of art). If you’re a local, challenge yourself to visit all 28 locations designated on the Museum Mile’s website (we’re competing amongst ourselves). Short on time? Here, we’ve rounded up our favorite sites on Meeting. St. Michael’s Episcopal Church. If you’ve been on Broad Street—or anywhere near it, really—you’ve seen St. Michael’s. 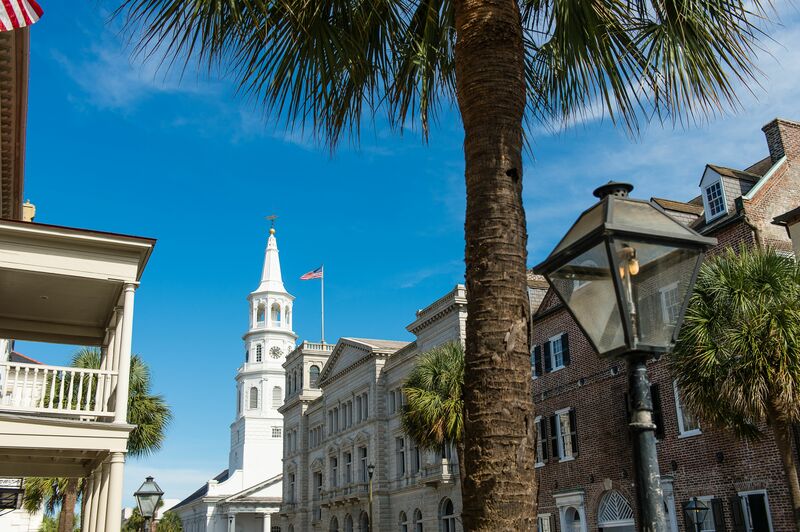 It’s the towering white stunner that sits at the corner of Broad and Meeting Streets (that intersection is known as Charleston’s Four Corners of the Law, with St. Michael’s representing God’s law). Built in 1761, the church has a storied history—for example, its steeple has served as a navigational landmark for ships during all American wars starting with the Revolutionary—and its Neoclassical beauty speaks for itself. The church is open to visitors from 9 a.m. to 4 p.m. most weekdays; stop by at 12:10 p.m. for a midday prayer. 71 Broad St.